It’s that time of year again, when warmer temperatures and longer days make us head outdoors to spend more time in the fresh air and sunlight. If you happen to be a gardener, it’s probably also the time that you’re just itching to start digging in the dirt, and you may be deciding what flowers and veggies you may want to plant. It’s important to keep in mind that although gardening can be a very rewarding hobby, it can also be dangerous for our furry friends. Luckily, creating a pet-safe garden is not very difficult. We just need to take a few extra precautions to ensure that our yards and gardens are as safe as they are beautiful. 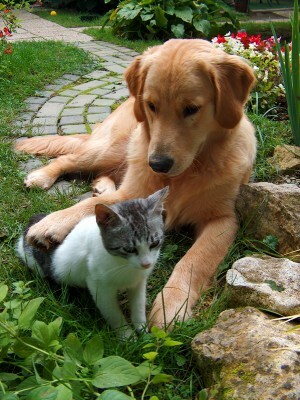 The most obvious way to create a pet-safe garden is to choose the right plants. Not all pet owners realize that a great many garden plants are toxic to dogs and cats. Popular varieties such as azalea, rhododendron, oleander, foxglove, lily of the valley, sago palm, tulip and daffodil all fall into this category. Pets that eat these poisonous plants can experience everything from an upset stomach and diarrhea, to seizures and liver failure. Be sure to check the ASPCA’s comprehensive list of toxic plants before deciding which plants will make it into your garden. While not toxic, it’s also a good idea to avoid trees, shrubs and plants that are likely to cause allergies. Many of the same plants that cause allergies in humans will affect your pet as well. Look for pollen-free plant species whenever possible. If you do select a plant with a high allergy potential, avoid planting it under windows that you’ll have open during the summer. If you already have one of these trees or hedges in your yard, keep it heavily sheared so it will flower less. Many gardeners use cocoa bean mulch—a by-product of chocolate production—in landscaping. It has an attractive odor and color that make it a popular choice, but cocoa mulch can pose serious problems for your dog. To be safe, opt for shredded pine, cedar, or hemlock bark instead. Also try to avoid mulch that has been treated with weed inhibitor or insect repellent. Try to avoid the use of chemical fertilizers, pesticides or weed killers in your yard and garden. These pose a danger to dogs and cats because anything picked up on their paws could be licked off later. There are plenty of organic, earth-friendly products available as an alternative that are safe for both pets and humans. Ask your local gardening center for recommendations and they should be able to point you in the right direction. Insecticides are often necessary to keep our gardens healthy, but their ingredients aren’t safe for our furry friends. The most dangerous forms of pesticides include snail bait with metaldehyde, fly bait with methomyl, systemic insecticides with the ingredients disyston or disulfoton and most forms of rat poisons. Again, a conversation at your gardening center may be able to provide you with some effective but natural alternatives. These eco-friendly practices can be great for your garden, but be sure they’re not accessible to your pets. Dogs that view garbage and rotting food as a special treat may consider this a buffet, but it’s one that could make them sick. Just like toddler-proofing, be sure to keep all pruning shears, trimmers, tillers, rakes and other gardening tools picked up and stored safely out of reach of your pets. Gardening is a great hobby, and with a little extra planning and effort, it’s not difficult to ensure that your hobby will be safe for your pet. This week, May 20-26, is National Dog Bite Prevention week, an event hosted by the American Veterinary Medical Association (AVMA) to help educate the public about the nearly 5 million dog bites that occur every year and how they can be prevented. According to the AVMA 4.7 million people in the US are bitten by dogs each year, and over 800,000 Americans seek medical attention for those bites. Of those, about half are children, with the most at-risk age group being 5-9. Most of these bites occur during every day activities while these children are interacting with familiar dogs. Senior citizens are the second most commonly affected group. The thing about dog bites is that many, if not most, are preventable. The AVMA has created a great public health bulletin with great tips and resources for people. Because children are most at risk for bites you should never (ever, ever, ever!) leave a small child alone with a dog. Even if your dog is the world’s biggest softy, it’s never a good idea to leave him unattended with a child. Most dog bites happen while dogs and children are left alone together, even if it’s only for a few minutes. It is always important to remember that any dog can bite; even the most friendly and well-trained – especially if they are injured or fearful. Proper training and socialization of puppies and dogs is crucial to avoiding dog bites. W – Wait to see if the dog looks friendly. If the dog looks afraid or angry, STOP and walk away slowly. A – Ask the owner for permission to pet the dog. If the owner says no or there is no owner present, STOP and walk away slowly. I – Invite the dog to come to you to sniff you. Put your hand to your side with your fingers curled in. Stand slightly sideways and dip your head down so you are not looking directly at the dog. If the dog does not come over to sniff you, STOP and do not touch him. T – Touch the dog gently, petting him along his back while staying away from his head and tail. It’s also extremely important to learn to recognize a dog’s body language. 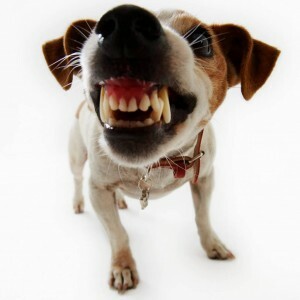 Dogs who are growling or baring their teeth are obvious dangers, but dogs who are nervous or frightened are just as likely to bite, if not more. Here are some great slides from the ASPCA to help you learn how to interpret a dog’s body language to better be able to identify dog’s who may pose a biting risk. The goal is not to be afraid of meeting new dogs, but of being respectful of the dog’s personal space. If we all follow these tips maybe we can all stay a little safer around our furry friends. Heart Disease: It’s not just for people! Congenital heart disease – Just like people, dogs and cats can be born with heart abnormalities. Ever-changing medical advancements now allow veterinarians to treat many of these problems. Heartworm disease – Heartworms are just what they sound like- worms that grow in the heart of dogs and cats! Thankfully these nasty mosquito-borne parasites are effectively prevented with today’s heartworm preventatives. Valvular disease – The heart has four valves that keep blood flowing in the right direction. Wear and tear on these valves over time can result in them being “leaky”. Bacterial buildup on the valves secondary to dental infections may also contribute to this problem. Oftentimes your veterinarian will note a heart murmur. As this disease progresses, congestive heart failure can develop. 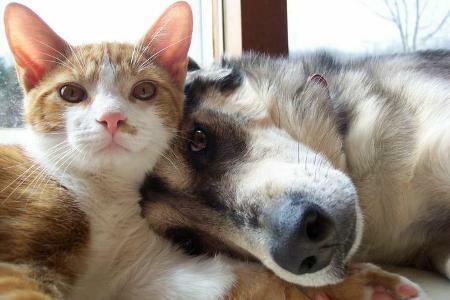 Most pets can be managed on heart medications. Cardiomyopathies – Problems with the actual muscle of the heart can affect the way the heart contracts and lead to heart disease. Certain breeds of dogs and cats may be more at risk for this problem. High blood pressure – Dogs and cats can suffer from hypertension, too! This may be secondary to other diseases or problems. Heart disease is a major problem for pets as well as people. 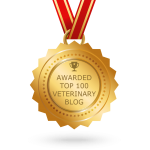 Many times working with a veterinary cardiologist can offer your pet help through these issues. 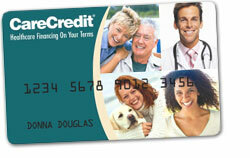 CareCredit can only be used at approved healthcare providers, including many veterinarians. This helps you to use your credit wisely and pay cash for other things. Every time you use your CareCredit card, you are eligible for special financing plans. This can include no interest if paid in full within the 6, 12, 18, or 24 month period determined by the amount of the charge. While minimum monthly payments are required, you may pay off your balance before the end of the promotional period. Once approved, you can start using CareCredit immediately. You can apply conveniently over the phone or online before taking your pet in to the vet and use your credit line that day. CareCredit is a great way to pay for the medical care your pet needs now while spreading the cost out over a longer time period. For more information, or to apply online, visit www.carecredit.com.